Usually we use blueberry to make cake ,jam,pie,tart and muffin but rarely cookies. I wonder why blueberry cookies is not popular. Anyway,I bought 2 punnet of blueberry 2 weeks ago and still sitting in the fridge. I wonder what is the result of using this blueberry to bake cookies..So last week I baked a punnet of blueberry cookies and it's turn up really good. I brought some for my ex-colleague when I visit them in Brooklyn,they loves it! 1: Preheat oven at 375 F. Prepare parchment paper over 2x baking sheet or 2 un-greased baking sheets. Sieve dry ingredients :flour baking powder,baking soda and salt in a medium bowl. 2:Whisk butter ,brown light sugar and sugar until cream and light at high speed.Then combine egg in butter mixture,mix well. 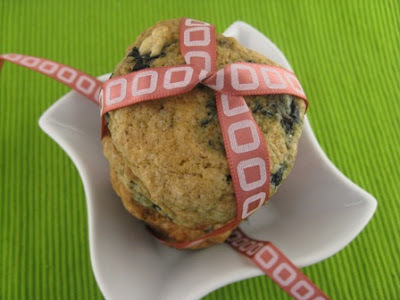 Reduce speed,then add in flour mixture slowly and lemon essence until well combine .Fold in blueberry into the mixture. 3:Drop dough by 1/2 ice cream scoop or 1 teaspoon each onto the baking sheet 1 1/2 apart.Bake for 15 minutes or until lightly golden brown.Let the cookies cool on the baking sheets for a few minutes before transferring to wire racks to cool completely. 4: Store in air tight container or serve with tea. This cookies that are sort of a cross between a cookie and a muffin: 30 % muffin and 70 cookie.It's crispy outside and soft inside. 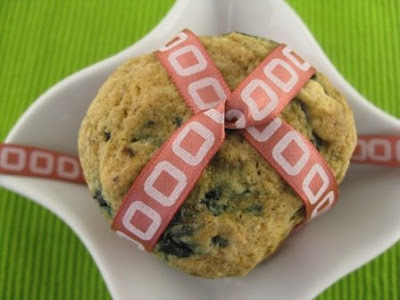 Very creative to use fresh blueberry in cookies. I guess people will use the dried berries more than the fresh berries in cookies, not sure why. But dried blueberries is not cheap at all. great job on the cookies! 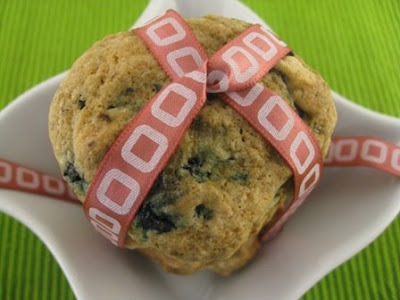 What a clever idea - I've never thought to use fresh blueberries in cookies. I like the sound of using fresh blueberries in cookies! They look great! hehehe! thank you:) next time I will try dried berries. thank you,I guess you're right.. I heard from my mom said Msia fruit are quite cheap now especially the grapes and berries..
thank you for dropping by:) and thanks! I came across this blog entry tonight and made a batch. While they don't look quite like the picture, they're delicious! Thanks for sharing! My 6 year old came up with the idea of blueberry cookies. I have never heard of them but since I promised her that we would make them, I googled just that - blueberry cookies. This is a simple recipe. I added a little cinnamon and since we didn't have lemon essence, I substituted a little orange zest and a squeeze of the orange in our batter. These cookies were surprisingly delicious. We enjoyed them and thanks for sharing the recipe. It is a keeper!